1. Sizes may vary due to different regions. 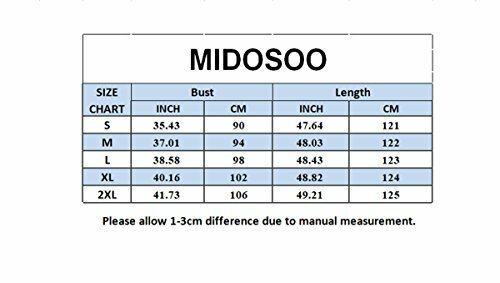 In order to select the fittest size, please check your body size carefully according to the following size details. Material: Cotton blended. Lightweight, soft and comfortable.Hand wash recommended, machine washable, line dry, low iron when necessary. 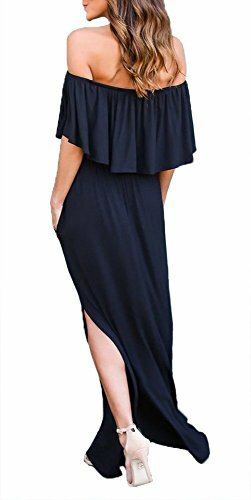 Features: off shoulder maxi dress with pockets, ruffle short sleeve and side slit design, loose fit, solid color. 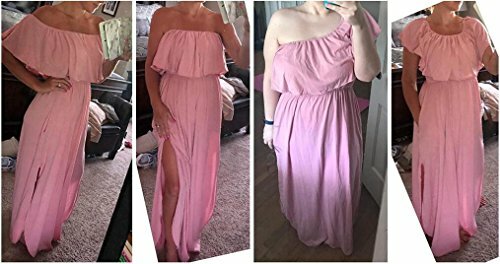 Side split design makes the dress spins beautifully. Look perfect with this maxi dress by pairing it with necklace and sandal. 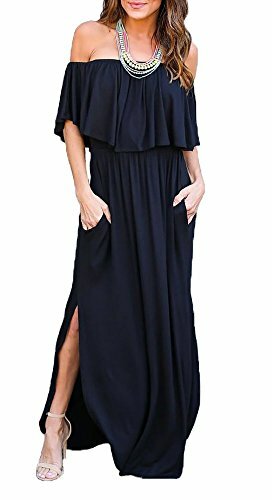 Occasion: This casual maxi dress is suitable for work, party, dating, club, beach etc. 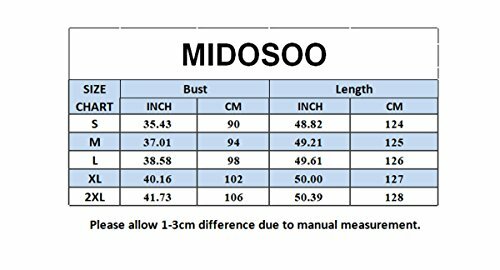 Note: Please carefully check the SIZE CHART in the Picture and Description.